Bernardsville is a borough in the northernmost part of Somerset County with a walkable and historic downtown. The center of Bernardsville’s downtown is Olcott Square, a 5-way triangular intersection that connects U.S. Route 202, County Road 525, Anderson Hill Road, and Mill Street. Around Olcott Square are numerous businesses and restuarants, and within walking distance there is the Bernardsville train station, the Bernardsville Library, and Bernards High School. 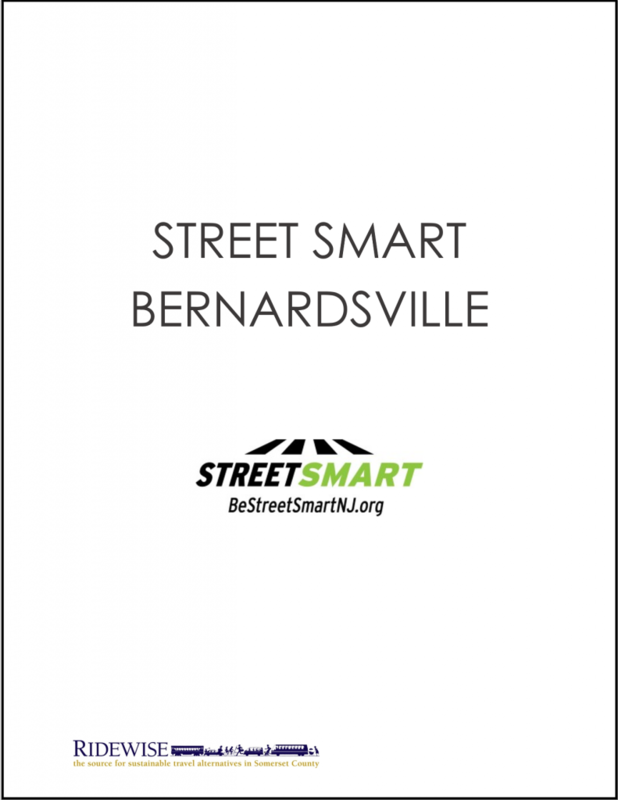 To promote pedestrian safety within Bernardsville, the Borough of Bernardsville and the Bernardsville Police Department partnered with RideWise to conduct a Street Smart campaign in October 2018. Alongside the Street Smart campaign, RideWise conducted Safe Routes to School programming in Bernards High School, Marion T. Bedwell Elementary School, and the School of St. Elizabeth. The campaign resulted in increased awareness of the Street Smart messages and improved pedestrian and driver behavior. Survey responses indicated that the campaign was highly visible throughout the community. 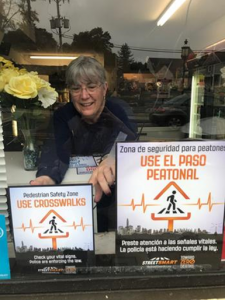 After the campaign, there was an increase in the number of pedestrians who used crosswalks throughout the downtown area, and 100 percent of drivers stopped for pedestrians in the crosswalk on Mine Brook Road by the Bernardsville Print Center. To read the full report, click the image below.